Until the 1950s, guns firing ballistic munitions ranging from 20 mm to 150 mm were the standard weapon; guided missiles then became dominant, except at the very shortest ranges (as with close-in weapon systems, which typically use rotary autocannons or, in very modern systems, surface to air adaptations of short range air to air missiles). The term air defence was probably first used by Britain when Air Defence of Great Britain (ADGB) was created as a Royal Air Force command in 1925. However, arrangements in the UK were also called 'anti-aircraft', abbreviated as AA, a term that remained in general use into the 1950s. After the First World War it was sometimes prefixed by 'Light' or 'Heavy' (LAA or HAA) to classify a type of gun or unit. Nicknames for anti-aircraft guns include AA, AAA or triple-A, an abbreviation of anti-aircraft artillery; "ack-ack" (from the spelling alphabet used by the British for voice transmission of "AA"); and archie (a World War I British term probably coined by Amyas Borton and believed to derive via the Royal Flying Corps from the music-hall comedian George Robey's line "Archibald, certainly not!"). NATO defines anti-aircraft warfare (AAW) as "measures taken to defend a maritime force against attacks by airborne weapons launched from aircraft, ships, submarines and land-based sites." In some armies the term All-Arms Air Defence (AAAD) is used for air defence by non-specialist troops. Other terms from the late 20th century include GBAD (Ground Based AD) with related terms SHORAD (Short Range AD) and MANPADS ("Man Portable AD Systems": typically shoulder-launched missiles). Anti-aircraft missiles are variously called surface-to-air missile, abbreviated and pronounced "SAM" and Surface to Air Guided Weapon (SAGW). Non-English terms for air defence include the German FlaK (FliegerabwehrKanone, "aircraft defence cannon", also cited as Flugabwehrkanone), whence English flak, and the Russian term Protivovozdushnaya oborona (Cyrillic: Противовозду́шная оборо́на), a literal translation of "anti-air defence", abbreviated as PVO. In Russian the AA systems are called zenitnye (i.e. "pointing to zenith") systems (guns, missiles etc.). In French, air defence is called DCA (Défense contre les aéronefs, "aéronef" being the generic term for all kind of airborne device (airplane, airship, balloon, missile, rocket, etc.)). 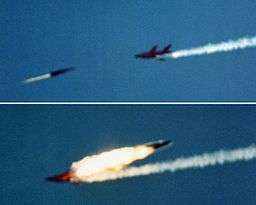 The maximum distance at which a gun or missile can engage an aircraft is an important figure. However, many different definitions are used but unless the same definition is used, performance of different guns or missiles cannot be compared. For AA guns only the ascending part of the trajectory can be usefully used. One term is 'ceiling', maximum ceiling being the height a projectile would reach if fired vertically, not practically useful in itself as few AA guns are able to fire vertically, and maximum fuse duration may be too short, but potentially useful as a standard to compare different weapons. Throughout the 20th century air defence was one of the fastest-evolving areas of military technology, responding to the evolution of aircraft and exploiting various enabling technologies, particularly radar, guided missiles and computing (initially electromechanical analog computing from the 1930s on, as with equipment described below). Air defence evolution covered the areas of sensors and technical fire control, weapons, and command and control. At the start of the 20th century these were either very primitive or non-existent. 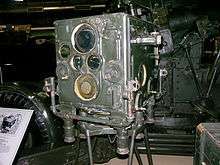 Initially sensors were optical and acoustic devices developed during the First World War and continued into the 1930s, but were quickly superseded by radar, which in turn was supplemented by optronics in the 1980s. Command and control remained primitive until the late 1930s, when Britain created an integrated system for ADGB that linked the ground-based air defence of the army's AA Command, although field-deployed air defence relied on less sophisticated arrangements. NATO later called these arrangements an "air defence ground environment", defined as "the network of ground radar sites and command and control centres within a specific theatre of operations which are used for the tactical control of air defence operations". weapons free: a weapon control order imposing a status whereby weapons systems may be fired at any target not positively recognised as friendly. weapons tight: a weapon control order imposing a status whereby weapons systems may be fired only at targets recognised as hostile. weapons hold: a weapon control order imposing a status whereby weapons systems may only be fired in self-defence or in response to a formal order. Passive air defence is defined by NATO as "Passive measures taken for the physical defence and protection of personnel, essential installations and equipment in order to minimize the effectiveness of air and/or missile attack". It remains a vital activity by ground forces and includes camouflage and concealment to avoid detection by reconnaissance and attacking aircraft. Measures such as camouflaging important buildings were common in the Second World War. During the Cold War the runways and taxiways of some airfields were painted green. While navies are usually responsible for their own air defence, at least for ships at sea, organizational arrangements for land-based air defence vary between nations and over time. At the other extreme the United States Army has an Air Defense Artillery branch that provided ground-based air defence for both homeland and the army in the field. Many other nations also deploy an air-defence branch in the army. 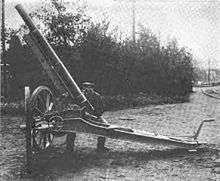 In Britain and some other armies, the single artillery branch has been responsible for both home and overseas ground-based air defence, although there was divided responsibility with the Royal Navy for air defence of the British Isles in World War I. However, during the Second World War the RAF Regiment was formed to protect airfields everywhere, and this included light air defences. In the later decades of the Cold War this included the United States Air Force's operating bases in UK. However, all ground-based air defence was removed from Royal Air Force (RAF) jurisdiction in 2004. The British Army's Anti-Aircraft Command was disbanded in March 1955, but during the 1960s and 1970s the RAF's Fighter Command operated long-range air -defence missiles to protect key areas in the UK. During World War II the Royal Marines also provided air defence units; formally part of the mobile naval base defence organisation, they were handled as an integral part of the army-commanded ground based air defences. Batteries are usually grouped into battalions or equivalent. In the field army a light gun or SHORAD battalion is often assigned to a manoeuvre division. Heavier guns and long-range missiles may be in air-defence brigades and come under corps or higher command. Homeland air defence may have a full military structure. For example, the UK's Anti-Aircraft Command, commanded by a full British Army general was part of ADGB. At its peak in 1941–42 it comprised three AA corps with 12 AA divisions between them. The use of balloons by the Union Army during the American Civil War compelled the Confederates to develop methods of combating them. These included the use of artillery, small arms, and saboteurs. They were unsuccessful, but internal politics led the Union's Balloon Corps to be disbanded mid-war. The Confederates experimented with balloons as well. The earliest known use of weapons specifically made for the anti-aircraft role occurred during the Franco-Prussian War of 1870. After the disaster at Sedan, Paris was besieged and French troops outside the city started an attempt at communication via balloon. Gustav Krupp mounted a modified 1-pounder (37mm) gun — the Ballonabwehrkanone (Balloon defence cannon) or BaK — on top of a horse-drawn carriage for the purpose of shooting down these balloons. By the early 20th century balloon, or airship, guns, for land and naval use were attracting attention. Various types of ammunition were proposed, high explosive, incendiary, bullet-chains, rod bullets and shrapnel. The need for some form of tracer or smoke trail was articulated. Fuzing options were also examined, both impact and time types. Mountings were generally pedestal type, but could be on field platforms. Trials were underway in most countries in Europe but only Krupp, Erhardt, Vickers Maxim, and Schneider had published any information by 1910. Krupp's designs included adaptations of their 65 mm 9-pounder, a 75 mm 12-pounder, and even a 105 mm gun. Erhardt also had a 12-pounder, while Vickers Maxim offered a 3-pounder and Schneider a 47 mm. The French balloon gun appeared in 1910, it was an 11-pounder but mounted on a vehicle, with a total uncrewed weight of 2 tons. However, since balloons were slow moving, sights were simple. But the challenges of faster moving airplanes were recognised. By 1913 only France and Germany had developed field guns suitable for engaging balloons and aircraft and addressed issues of military organization. Britain's Royal Navy would soon introduce the QF 3-inch and QF 4-inch AA guns and also had Vickers 1-pounder quick firing "pom-pom"s that could be used in various mountings. The first issue was ammunition. Before the war it was recognised that ammunition needed to explode in the air. Both high explosive (HE) and shrapnel were used, mostly the former. Airburst fuses were either igniferious (based on a burning fuse) or mechanical (clockwork). Igniferious fuses were not well suited for anti-aircraft use. The fuse length was determined by time of flight, but the burning rate of the gunpowder was affected by altitude. The British pom-poms had only contact-fused ammunition. Zeppelins, being hydrogen filled balloons, were targets for incendiary shells and the British introduced these with airburst fuses, both shrapnel type-forward projection of incendiary 'pot' and base ejection of an incendiary stream. The British also fitted tracers to their shells for use at night. Smoke shells were also available for some AA guns, these bursts were used as targets during training. As aircraft started to be used against ground targets on the battlefield, the AA guns could not be traversed quickly enough at close targets and, being relatively few, were not always in the right place (and were often unpopular with other troops), so changed positions frequently. 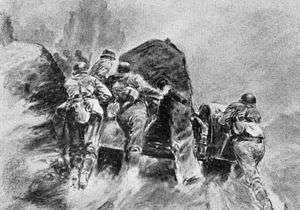 Soon the forces were adding various machine-gun based weapons mounted on poles. These short-range weapons proved more deadly, and the "Red Baron" is believed to have been shot down by an anti-aircraft Vickers machine gun. When the war ended, it was clear that the increasing capabilities of aircraft would require better means of acquiring targets and aiming at them. Nevertheless, a pattern had been set: anti-aircraft weapons would be based around heavy weapons attacking high-altitude targets and lighter weapons for use when they came to lower altitudes. World War I demonstrated that aircraft could be an important part of the battlefield, but in some nations it was the prospect of strategic air attack that was the main issue, presenting both a threat and an opportunity. The experience of four years of air attacks on London by Zeppelins and Gotha G.V bombers had particularly influenced the British and was one of if not the main driver for forming an independent air force. As the capabilities of aircraft and their engines improved it was clear that their role in future war would be even more critical as their range and weapon load grew. However, in the years immediately after World War I the prospect of another major war seemed remote, particularly in Europe where the most militarily capable nations were, and little financing was available. Two assumptions underpinned the British approach to HAA fire; first, aimed fire was the primary method and this was enabled by predicting gun data from visually tracking the target and having its height. Second, that the target would maintain a steady course, speed and height. 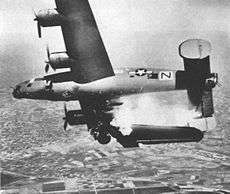 This HAA was to engage targets up to 24,000 feet. Mechanical, as opposed to igniferous, time fuses were required because the speed of powder burning varied with height so fuse length was not a simple function of time of flight. Automated fire ensured a constant rate of fire that made it easier to predict where each shell should be individually aimed. In 1925 the British adopted a new instrument developed by Vickers. It was a mechanical analogue computer Predictor AA No 1. Given the target height its operators tracked the target and the predictor produced bearing, quadrant elevation and fuse setting. These were passed electrically to the guns where they were displayed on repeater dials to the layers who 'matched pointers' (target data and the gun's actual data) to lay the guns. This system of repeater electrical dials built on the arrangements introduced by British coast artillery in the 1880s, and coast artillery was the background of many AA officers. Similar systems were adopted in other countries and for example the later Sperry device, designated M3A3 in the US was also used by Britain as the Predictor AA No 2. Height finders were also increasing in size, in Britain, the World War I Barr & Stroud UB 2 (7 feet optical base) was replaced by the UB 7 (9 feet optical base) and the UB 10 (18 feet optical base, only used on static AA sites). Goertz in Germany and Levallois in France produced 5 metre instruments. However, in most countries the main effort in HAA guns until the mid-1930s was improving existing ones, although various new designs were on drawing boards. From the early 1930s eight countries developed radar, these developments were sufficiently advanced by the late 1930s for development work on sound locating acoustic devices to be generally halted, although equipment was retained. Furthermore, in Britain the volunteer Observer Corps formed in 1925 provided a network of observation posts to report hostile aircraft flying over Britain. Initially radar was used for airspace surveillance to detect approaching hostile aircraft. However, the German Würzburg radar was capable of providing data suitable for controlling AA guns and the British AA No 1 Mk 1 GL radar was designed to be used on AA gun positions. The Treaty of Versailles prevented Germany having AA weapons, and for example, the Krupps designers joined Bofors in Sweden. Some World War I guns were retained and some covert AA training started in the late 1920s. Germany introduced the 8.8 cm FlaK 18 in 1933, 36 and 37 models followed with various improvements but ballistic performance was unchanged. 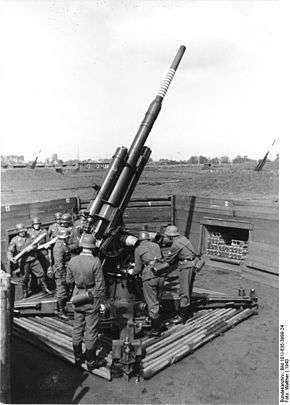 In the late 1930s the 10.5 cm FlaK 38 appeared soon followed by the 39, this was designed primarily for static sites but had a mobile mounting and the unit had 220v 24 kW generators. In 1938 design started on the 12.8 cm FlaK. Britain had successful tested a new HAA gun, 3.6-inch, in 1918. In 1928 3.7-inch became the preferred solution, but it took 6 years to gain funding. 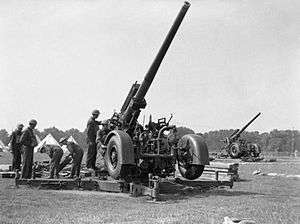 Production of the QF 3.7-inch (94 mm) began in 1937; this gun was used both on mobile carriages with the field army and transportable guns on fixed mountings for static positions. At the same time the Royal Navy adopted a new 4.5-inch (114 mm) gun in a twin turret, which the army adopted in simplified single-gun mountings for static positions, mostly around ports where naval ammunition was available. However, the performance of both 3.7 and 4.5-in guns was limited by their standard fuse No 199, with a 30-second running time, although a new mechanical time fuse giving 43 seconds was nearing readiness. In 1939 a Machine Fuse Setter was introduced to eliminate manual fuse setting. Until this time the British, at RAF insistence, continued their World War I use of machine guns, and introduced twin MG mountings for AAAD. The army was forbidden from considering anything larger than .50-inch. However, in 1935 their trials showed that the minimum effective round was an impact fused 2 lb HE shell. The following year they decided to adopt the Bofors 40 mm and a twin barrel Vickers 2-pdr (40 mm) on a modified naval mount. The air-cooled Bofors was vastly superior for land use, being much lighter than the water-cooled pom-pom, and UK production of the Bofors 40 mm was licensed. The Predictor AA No 3, as the Kerrison Predictor was officially known, was introduced with it. After World War I the US Army started developing a dual-role (AA/ground) automatic 37 mm cannon, designed by John M. Browning. It was standardised in 1927 as the T9 AA cannon, but trials quickly revealed that it was worthless in the ground role. However, while the shell was a bit light (well under 2 lbs) it had a good effective ceiling and fired 125 rounds per minute; an AA carriage was developed and it entered service in 1939. The Browning 37mm proved prone to jamming, and was eventually replaced in AA units by the Bofors 40 mm. 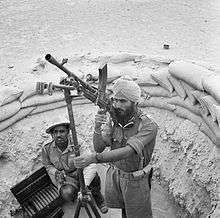 The Bofors had attracted attention from the US Navy, but none were acquired before 1939. 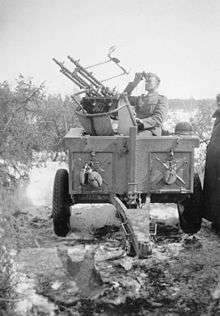 Also, in 1931 the US Army worked on a mobile anti-aircraft machine mount on the back of a heavy truck having four .30 caliber water-cooled machine guns and an optical director. It proved unsuccessful and was abandoned. During the 1930s solid fuel rockets were under development in the Soviet Union and Britain. In Britain the interest was for anti-aircraft fire, it quickly became clear that guidance would be required for precision. However, rockets, or 'unrotated projectiles' as they were called could the used for anti-aircraft barrages. A 2-inch rocket using HE or wire obstacle warheads was introduced first to deal with low-level or dive bombing attacks on smaller targets such as airfields. The 3-inch was in development at the end of the inter-war period. While the 3.7 inch was the main HAA gun in fixed defences and the only mobile HAA gun with the field army, 4.5-inch, manned by artillery, was used in the vicinity of naval ports, making use of the naval ammunition supply. 4.5-inch at Singapore had the first success in shooting down Japanese bombers. Mid war 5.25-inch HAA gun started being emplaced in some permanent sites around London. This gun was also deployed in dual role coast defence/AA positions. Service trials demonstrated another problem however: that ranging and tracking the new high-speed targets was almost impossible. At short range, the apparent target area is relatively large, the trajectory is flat and the time of flight is short, allowing to correct lead by watching the tracers. At long range, the aircraft remains in firing range for a long time, so the necessary calculations can in theory be done by slide rules - though, because small errors in distance cause large errors in shell fall height and detonation time, exact ranging is crucial. For the ranges and speeds that the Bofors worked at, neither answer was good enough. 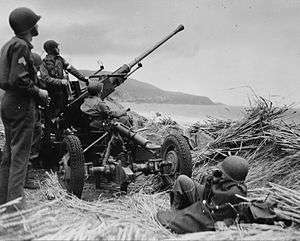 A plethora of anti-aircraft gun systems of smaller calibre were available to the German Wehrmacht combined forces, and among them the 1940-origin Flakvierling quadruple-20 mm-gun antiaircraft weapon system was one of the most often-seen weapons, seeing service on both land and sea. The similar Allied smaller-calibre air-defence weapons systems of the American forces were also quite capable, although they receive little attention. Their needs could cogently be met with smaller-calibre ordnance beyond using the usual singly-mounted M2 .50 caliber machine gun atop a tank's turret, as four of the ground-used "heavy barrel" (M2HB) guns were mounted together on the American Maxson firm's M45 Quadmount weapons system (as a direct answer to the Flakvierling),which were often mounted on the back of a half-track to form the Half Track, M16 GMC, Anti-Aircraft. 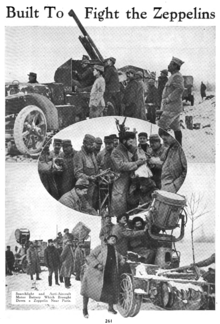 Although of less power than Germany's 20 mm systems, the typical 4 or 5 combat batteries of an Army AAA battalion were often spread many kilometers apart from each other, rapidly attaching and detaching to larger ground combat units to provide welcome defence from enemy aircraft. AAA battalions were also used to help suppress ground targets. Their larger 90 mm M3 gun would prove, as did the eighty-eight, to make an excellent anti-tank gun as well, and was widely used late in the war in this role. Also available to the Americans at the start of the war was the 120 mm M1 gun stratosphere gun, which was the most powerful AA gun with an impressive 60,000 ft (18 km) altitude capability. 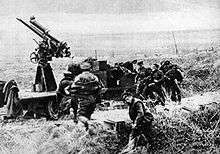 No 120 M1 was ever fired at an enemy aircraft. The 90 mm and 120 mm guns would continue to be used into the 1950s. The United States Navy had also put some thought into the problem, and came up with the 1.1"/75 (28mm) gun to replace the inadequate .50 caliber. This weapon had the teething troubles that most new weapons have, but the issues with the gun were never sorted out. It was replaced by the Bofors 40 mm wherever possible. The 5"/38 caliber gun turned out to be an excellent anti-aircraft weapon, once the Proximity fuse had been perfected. 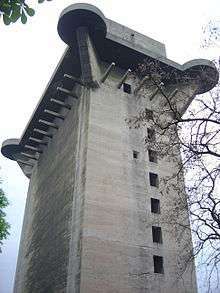 The Germans developed massive reinforced concrete blockhouses, some more than six stories high, which were known as Hochbunker "High Bunkers" or "Flaktürme" flak towers, on which they placed anti-aircraft artillery. Those in cities attacked by the Allied land forces became fortresses. Several in Berlin were some of the last buildings to fall to the Soviets during the Battle of Berlin in 1945. 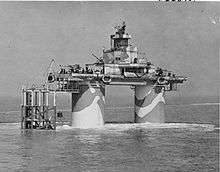 The British built structures such as the Maunsell Forts in the North Sea, the Thames Estuary and other tidal areas upon which they based guns. After the war most were left to rot. Some were outside territorial waters, and had a second life in the 1960s as platforms for pirate radio stations. Another aspect of anti-aircraft defence was the use of barrage balloons to act as physical obstacle initially to bomber aircraft over cities and later for ground attack aircraft over the Normandy invasion fleets. The balloon, a simple blimp tethered to the ground, worked in two ways. Firstly, it and the steel cable were a danger to any aircraft that tried to fly among them. Secondly, to avoid the balloons, bombers had to fly at a higher altitude, which was more favorable for the guns. Barrage balloons were limited in application, and had minimal success at bringing down aircraft, being largely immobile and passive defences. The allies' most advanced technologies were showcased by the anti-aircraft defence against the German V-1 cruise missiles (V stands for Vergeltungswaffe, "retaliation weapon"). The 419th and 601st Antiaircraft Gun Battalions of the US Army were first allocated to the Folkestone-Dover coast to defend London, and then moved to Belgium to become part of the "Antwerp X" project coordinated from the Le Grand Veneur in Keerbergen. With the liberation of Antwerp, the port city immediately became the highest priority target, and received the largest number of V-1 and V-2 missiles of any city. The smallest tactical unit of the operation was a gun battery consisting of four 90 mm guns firing shells equipped with a radio proximity fuse. Incoming targets were acquired and automatically tracked by SCR-584 radar, developed at the MIT Rad Lab. Output from the gun-laying radar was fed to the M-9 director, an electronic analog computer developed at Bell Laboratories to calculate the lead and elevation corrections for the guns. With the help of these three technologies, close to 90% of the V-1 missiles, on track to the defence zone around the port, were destroyed. The developments during World War II continued for a short time into the post-war period as well. In particular the U.S. Army set up a huge air defence network around its larger cities based on radar-guided 90 mm and 120 mm guns. US efforts continued into the 1950s with the 75 mm Skysweeper system, an almost fully automated system including the radar, computers, power, and auto-loading gun on a single powered platform. The Skysweeper replaced all smaller guns then in use in the Army, notably the 40 mm Bofors. In Europe NATO's Allied Command Europe developed an integrated air defence system, NATO Air Defence Ground Environment (NADGE), that later became the NATO Integrated Air Defence System. A three-man JASDF fireteam fires a missile from a Type 91 Kai MANPAD during an exercise at Eielson Air Force Base, Alaska as part of Red Flag - Alaska. As this process continued, the missile found itself being used for more and more of the roles formerly filled by guns. First to go were the large weapons, replaced by equally large missile systems of much higher performance. Smaller missiles soon followed, eventually becoming small enough to be mounted on armored cars and tank chassis. These started replacing, or at least supplanting, similar gun-based SPAAG systems in the 1960s, and by the 1990s had replaced almost all such systems in modern armies. Man-portable missiles, MANPADs as they are known today, were introduced in the 1960s and have supplanted or even replaced even the smallest guns in most advanced armies. In Somalia, militia members sometimes welded a steel plate in the exhaust end of an unguided RPG's tube to deflect pressure away from the shooter when shooting upwards at US helicopters. RPGs are used in this role only when more effective weapons are not available. Although the firearms used by the infantry, particularly machine guns, can be used to engage low altitude air targets, on occasion with notable success, their effectiveness is generally limited and the muzzle flashes reveal infantry positions. Speed and altitude of modern jet aircraft limit target opportunities, and critical systems may be armored in aircraft designed for the ground attack role. Adaptations of the standard autocannon, originally intended for air-to-ground use, and heavier artillery systems were commonly used for most anti-aircraft gunnery, starting with standard pieces on new mountings, and evolving to specially designed guns with much higher performance prior to World War II. The ammunition and shells fired by these weapons are usually fitted with different types of fuses (barometric, time-delay, or proximity) to explode close to the airborne target, releasing a shower of fast metal fragments. For shorter-range work, a lighter weapon with a higher rate of fire is required, to increase a hit probability on a fast airborne target. Weapons between 20 mm and 40 mm caliber have been widely used in this role. Smaller weapons, typically .50 caliber or even 8 mm rifle caliber guns have been used in the smallest mounts. Unlike the heavier guns, these smaller weapons are in widespread use due to their low cost and ability to quickly follow the target. Classic examples of autocannons and large caliber guns are the 40 mm autocannon and the 8.8 cm FlaK 18, 36 gun, both designed by Bofors of Sweden. Artillery weapons of this sort have for the most part been superseded by the effective surface-to-air missile systems that were introduced in the 1950s, although they were still retained by many nations. 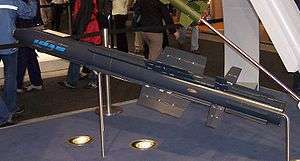 The development of surface-to-air missiles began in Nazi Germany during the late World War II with missiles such as the Wasserfall, though no working system was deployed before the war's end, and represented new attempts to increase effectiveness of the anti-aircraft systems faced with growing threat from bombers. Land-based SAMs can be deployed from fixed installations or mobile launchers, either wheeled or tracked. The tracked vehicles are usually armoured vehicles specifically designed to carry SAMs. However, as stealth technology grows, so does anti-stealth technology. Multiple transmitter radars such as those from bistatic radars and low-frequency radars are said to have the capabilities to detect stealth aircraft. Advanced forms of thermographic cameras such as those that incorporate QWIPs would be able to optically see a Stealth aircraft regardless of the aircraft's RCS. In addition, Side looking radars, High-powered optical satellites, and sky-scanning, high-aperture, high sensitivity radars such as radio telescopes, would all be able to narrow down the location of a stealth aircraft under certain parameters. The newest SAM's have a claimed ability to be able to detect and engage stealth targets, with the most notable being the S-400, which is claimed to be able to detect a target with a 0.05 meter squared RCS from 90 km away. Another potential weapon system for anti-aircraft use is the laser. Although air planners have imagined lasers in combat since the late 1960s, only the most modern laser systems are currently reaching what could be considered "experimental usefulness". In particular the Tactical High Energy Laser can be used in the anti-aircraft and anti-missile role. If current developments continue, some believe it is reasonable to suggest that lasers will play a major role in air defence starting in the next ten years. The future of projectile based weapons may be found in the railgun. Currently tests are underway on developing systems that could create as much damage as a Tomahawk (missile), but at a fraction of the cost. In February 2008 the US Navy tested a railgun; it fired a shell at 5,600 miles (9,000 km) per hour using 10 megajoules of energy. Its expected performance is over 13,000 miles (21,000 km) per hour muzzle velocity, accurate enough to hit a 5-meter target from 200 nautical miles (370 km) away while shooting at 10 shots per minute. It is expected to be ready in 2020 to 2025. These systems while currently designed for static targets would only need the ability to be retargeted to become the next generation of AA system. 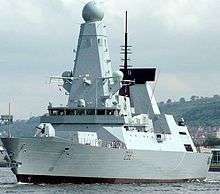 Most Western and Commonwealth militaries integrate air defence purely with the traditional services, of the military (i.e. army, navy and air force), as a separate arm or as part of artillery. In the United States Army for instance, air defence is part of the artillery arm, while in the Pakistan Army, it was split off from Artillery to form a separate arm of its own in 1990. This is in contrast to some (largely communist or ex-communist) countries where not only are there provisions for air defence in the army, navy and air force but there are specific branches that deal only with the air defence of territory, for example, the Soviet PVO Strany. The USSR also had a separate strategic rocket force in charge of nuclear intercontinental ballistic missiles. Armies typically have air defence in depth, from integral MANPADS such as the RBS 70, Stinger and Igla at smaller force levels up to army-level missile defence systems such as Angara and Patriot. Often, the high-altitude long-range missile systems force aircraft to fly at low level, where anti-aircraft guns can bring them down. As well as the small and large systems, for effective air defence there must be intermediate systems. 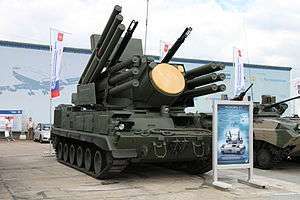 These may be deployed at regiment-level and consist of platoons of self-propelled anti-aircraft platforms, whether they are self-propelled anti-aircraft guns (SPAAGs), integrated air-defence systems like Tunguska or all-in-one surface-to-air missile platforms like Roland or SA-8 Gecko. 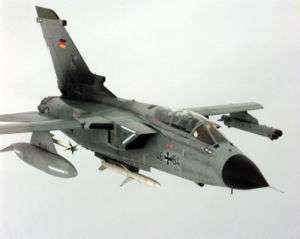 Air defence by air forces is typically provided by fighter jets carrying air-to-air missiles. However, most air forces choose to augment airbase defence with surface-to-air missile systems as they are such valuable targets and subject to attack by enemy aircraft. In addition, countries without dedicated air defence forces often relegate these duties to the air force. ↑ "ack-ack, adj. and n.". OED Online. September 2013. Oxford University Press. (accessed September 14, 2013). ↑ "A E Borton_P". Rafweb.org. Retrieved 19 June 2010. ↑ "flak". Merriam-Webster Online Dictionary. Retrieved 30 June 2008. ↑ "New American Aerial Weapons" Popular Mechanics, December 1911, p. 776. ↑ "How was the first military airplane shot down". National Geographic. Retrieved 5 August 2015. ↑ "Ljutovac, Radoje". Amanet Society. Retrieved 5 August 2015. ↑ "Radoje Raka Ljutovac – first person in the world to shoot down an airplane with a cannon". Pečat. Retrieved 5 August 2015. ↑ "flaming onions?". Theaerodrome.com. Retrieved 19 June 2010. ↑ "Archived copy" (PDF). Archived from the original (PDF) on 4 November 2011. Retrieved 2010-08-15. ↑ Carlo Kopp (November 2003). "Asia's new SAMs" (PDF). Australian Aviation: 30. Archived (PDF) from the original on 23 July 2006. Retrieved 9 July 2006. ↑ "Image and comments". Dvice.com. 2 February 2008. Archived from the original on 26 July 2010. Retrieved 19 June 2010. ↑ "Will the New Submarines Rule the Seas?" Popular Mechanics, August 1953, pp. 74-78, see page 78.